PrevPreviousPop-ups: When Is It Worth To Sacrifice Your Users? Why I’ve Ditched The ‘Request a Quote’ Pricing Model. Trust, not price, is what buyers value today, according to the results of the latest LinkedIn State of Sales report. But how can the actual pricing model influence this hard-earned trust? 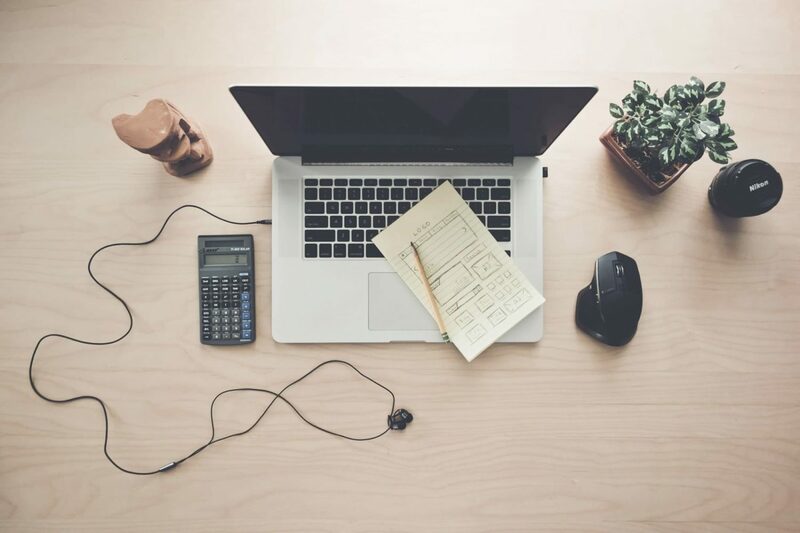 When I first decided to put in place a new tool on my website – a project estimate calculator – I didn’t know what to expect.As someone new to freelancing, I was creating individual custom quotes. It became overwhelming and unproductive rather quickly. Many of my prospects showed reluctance in revealing their budget, pretty much defeating the purpose of a custom proposal. Then it struck me. I’ve been in this industry for long enough. I had an idea of the most common features my target audience needs; all I had to do was organize different packages. It was a clear and transparent pricing model for my customers. They’d know exactly what they would get and how much they’d needed to invest. Turns out that not only did it make my life easier but it also made my clients trust me more. “I love your pricing calculator and how everything is so clear on your website,” they said. When I’ve told the story to other business owners, we all couldn’t help but wonder. Is it time to ditch the ‘Request a Quote‘ model for good? Or are the benefits limited to certain industries and audiences? As a UX Designer, I know how establishing credibility is essential. In fact, it’s part of the main criteria to check how persuasive a user interface is. (What else can influence your visitors’ decisions? Download my User Interface Persuasive Guidelines checklist below). But the main question remains. If buyers care more about trust than how much a product costs… then what is the role of the pricing model? How does it affect trust? I’ve polled 163 people targeting my main audience (entrepreneurs and small business owners). It was surprising that 89 said: “Yes, I trust a product or service more if I can check the pricing or packages”. Only 12 have mentioned that it’s subjective depending on the type of service and how much they already trust it (reputation). What were the reasons for these answers? “Money: I feel I won’t be able to afford a service if the price isn’t listed”. “Trust: I’m scared that they will charge me according to how much I’m willing to spend”. Leanne O’Sullivan, a digital strategist and creator of Summit School, has found that including packages on her website was helpful for their potential customers. Their visitors could understand what working with her looks like and what they actually get for their money. “I am also upfront with all programs so that people can come to realize that what you see is what you get, and you won’t trick them with a tripwire or other product once in the door,” says Leanne. One of the reasons many businesses still refuse to list prices on their websites is due to the variables involved in custom work. This is common with service providers such as designers, developers, copywriters, and consultants. Considering each case is unique and there’s no right or wrong, it’s worth to start experimenting with a new pricing model if the one you’ve been using until now isn’t working for you. Do you feel you spend too much time on custom proposals that end up being ignored? Do you feel your prospects are scared to hit the “request a quote” button? Are your visitors leaving your website because they’re afraid that they can’t afford you? Or, on the contrary, are you getting too many unqualified leads? My vote? List your prices. It can lead to fewer inquiries, but the ones you’ll have will be more qualified and targeted. It’ll most likely help you with conversions– since those within your price range will feel encouraged to contact you.But most of all, a transparent and clear pricing model improves the user experience of your website. It increases the likelihood of your brand inspiring trust and fairness. If you want to know which others factors can help your website be more persuasive, download my free UI Persuasive Guidelines here. Is your Website persuasive Enough? 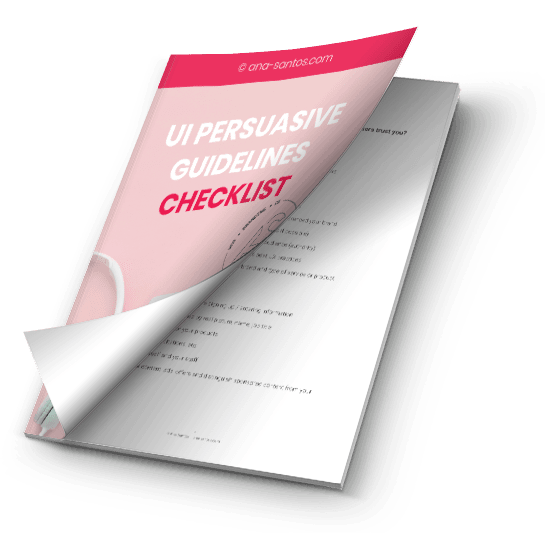 Download my UI Persuasive Guidelines Checklist. That’s so true! I rarely will make the effort to request a quote if I can find a price list from another source. Any tips or tools you’d recommend to help me create a calculator like yours? I don’t have enough coding experience to build one myself. Hi Nora, I recommend the CFF WordPress Plugin (Calculated Fields Form). I offer setup & customization services if you ever need help. Best of luck. Pingback: Document Destruction Service: What Happened To The Paperless Office?